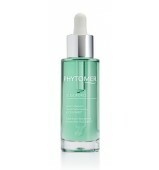 This mask offers an intensely comforting break to sensitive skin. 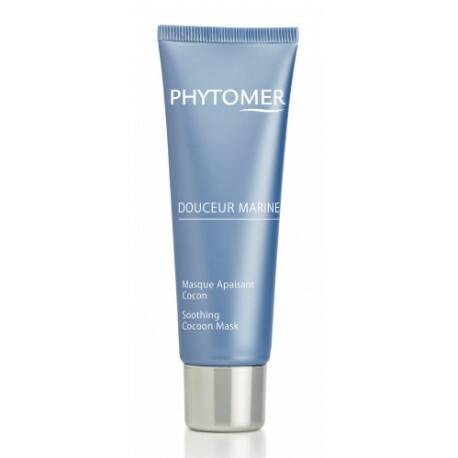 Formulated with Marine Spring Water, it immediately soothes the discomfort of dry skin made vulnerable by everyday environmental aggression (climate, pollution, etc.). 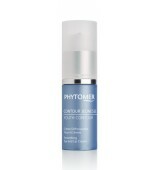 Day after day, redness diminishes and the skin soft and visibly more beautiful. *Satisfaction test on 22 volunteers, after 28 days of daily use. Marine Spring Water: Prevents the outbreak of skin reactions, and calms any associated redness or stinging. AQUA (WATER) / EAU, BUTYLENE GLYCOL, GLYCERIN, CAPRYLIC/CAPRIC TRIGLYCERIDE, SUCROSE POLYSTEARATE, KAOLIN, AVENA SATIVA (OAT) KERNEL FLOUR, DIMETHICONE, PRUNUS ARMENIACA (APRICOT) KERNEL OIL, DICAPRYLYL CARBONATE, C12-18 ACID TRIGLYCERIDE, SODIUM LAUROYL GLUTAMATE, MARIS AQUA (SEA WATER) / EAU DE MER, BEHENETH-25, PHENOXYETHANOL, HYDROGENATED POLYISOBUTENE, CARBOMER, HECTORITE, XANTHAN GUM, SODIUM HYDROXIDE, PROPYLENE GLYCOL, DISODIUM EDTA, HYDROLYZED ALGIN, PARFUM (FRAGRANCE), CHLORHEXIDINE DIGLUCONATE, CHLORELLA VULGARIS EXTRACT, CORALLINA OFFICINALIS EXTRACT, CISTUS MONSPELIENSIS EXTRACT, TOCOPHEROL, CITRIC ACID, PROPYL GALLATE, GLYCINE SOJA (SOYBEAN) OIL, HEXYL CINNAMAL, CITRONELLOL, HYDROXYCITRONELLAL, LINALOOL, BENZYL SALICYLATE, GERANIOL, LIMONENE, CI 42090 (BLUE 1), CI 19140 (YELLOW 5).